Investing in real estate is exciting and invigorating. Whether you are just starting out or are a seasoned pro, the one thing that never changes is the thrill of finding a great deal on a property. Searching through listings in your state limits your ability to diversify your investments into other locations in areas unlike your own. Learning how to buy out of state investment properties takes an understanding of the basics that are helpful for a successful transaction. Information you have available about an investment property may be out of date unless you have verified the information. It is important to know about the neighborhood where your property is located. Obtaining basic information about the condition of the property, local economy and information about local schools will go a long way in making sure that your purchase will yield the type of investment returns that you want. Most county auditors have information pertaining to back taxes, probate documents and liens that could be attached to a property that you are interested in purchasing. It is best to avoid purchasing a property that has these types of attachments since the purchase price will rise. As a smart real estate investor, doing this in-depth research will pay off for you when you find a good deal on a property. Rental properties offer investors solid returns and are often purchased for less than market value. Living out of state can make it difficult to negotiate with a current owner. There are a lot of details to cover when you cannot be there in person to make an offer and are left dealing with out of state documents. Purchasing a property not in your home can be a good investment, but it takes time to make offers and counter offers. The management of an out of state property can be a challenge. 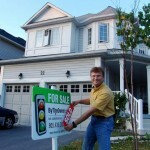 Real estate transactions must be completed swiftly to close on a great deal. Management of an out of state property is best completed by an experienced company that manages properties in the area where your new property is located. The collection of rent, payment of property taxes and creating vacancy advertisements should be completed by an experienced company. Buying out of state investment properties is easy when you know how the process is completed. There are many details that should be considered and having expert help will keep you from making costly mistakes. Buying investment properties to rent to individuals and families is an excellent way to build a substantial income stream that is guaranteed every month.